For increasingly data-savvy clients, lawyers can no longer give "it depends" answers rooted in anecdata. Clients insist that their lawyers justify their reasoning, and with more than a limited set of war stories. The considered judgment of an experienced lawyer is unquestionably valuable. However, on balance, clients would rather have the considered judgment of an experienced lawyer informed by the most relevant information required to answer their questions. In addition to providing clients with data-based insight, legal firms can track a matter with data from beginning to end, from the marketing spend through to the type of matter, hours spent, billed, and collected, including metrics on profitability and success. Firms can organize and collect documents after a matter and even automate them for reuse. Data on marketing related to a matter can be an amazing source of insight about which practice areas are most profitable. Data-driven decision-making requires firms to think differently about their workflow. Most firms warehouse their files, never to be seen again after the matter closes. 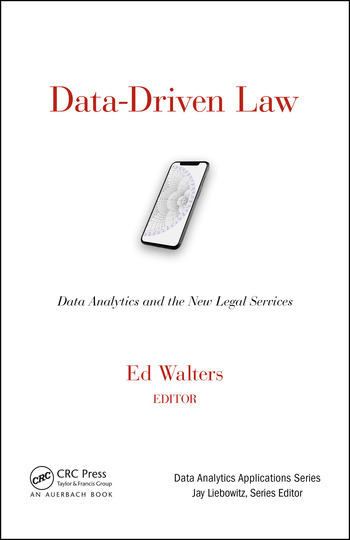 Running a data-driven firm requires lawyers and their teams to treat information about the work as part of the service, and to collect, standardize, and analyze matter data from cradle to grave. More than anything, using data in a law practice requires a different mindset about the value of this information. 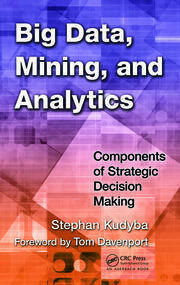 This book helps legal professionals to develop this data-driven mindset. 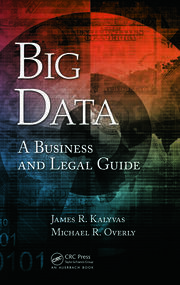 Introduction: Data Analytics for Law Firms: Using Data for Smarter Legal Services. Mining Legal Data: Collecting and Analyzing 21st Century Gold. 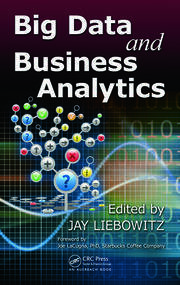 Deconstructing Contracts: Analytics and Contract Standards. The Big Move Toward Big Data in Employment.Computational Law, Symbolic Discourse, and the AI Constitution. Quantifying Success: Using Data Science to Measure the Accuracy of Technology-Assisted Review in Electronic Discovery. Quantifying the Quality of Legal Services: Data Science Lessons. Uncovering Big Bias with Big Data: An Introduction to Linear Regression. Ed Walters is an adjunct law professor at the Georgetown University Law Center, where he teaches The Law of Robots, a class about the frontiers of law and technology. He also is the CEO and co-founder of Fastcase, an online legal research software company based in Washington, D.C. Before founding Fastcase, Ed worked at Covington & Burling in Washington D.C. and Brussels, where he advised clients such as Microsoft, Merck, SmithKline, the National Football League, and the National Hockey League. His practice focused on corporate advisory work for software companies and sports leagues, and intellectual property litigation. Ed worked in the White House from 1991-1993, first in the Office of Media Affairs and then in the Office of Presidential Speechwriting. He has written for The New York Times, The Washington Post, and The Legal Times. Ed graduated from Georgetown University, where he was Editor-in-Chief of The Hoya, and the University of Chicago Law School, where he was an editor of The University of Chicago Law Review. He serves on the boards of Pro Bono Net, Public.Resource.org, Friends of Telecom Without Borders, and Salsa Labs.